People in search of a natural look when choosing coloured contact lenses will find that brown ones help to provide a look which draws attention, one source has observed. An article on One India by Denise Baptiste said that brown coloured contact lenses are a great choice for people with dark or medium skin tones, as they not only look natural but can complement hair colour and other features. 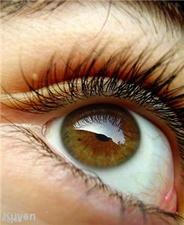 For people with very dark eyes, she advised: "Use natural light brown or aquamarine blue contact lens[es]. For a dramatic new look, go in for colours like that of green or violet." Those with blue eyes should go for contact lenses of aquamarine blue and hazel green, as this will "illuminate" the eyes and create a natural look, she added. Recently, Dr Terry Blair, an optometrist with the University Vision Centre in West El Paso, told ABC-7 that people looking to invest in coloured contact lenses this year will find that they are perfectly safe as long as they have been fitted and prescribed by a professional.